On Fluxiom, sharing assets with your colleagues, and setting up a collaborative workflow is a snap. Note: You’ll only see the “Users” tab if you have permission to manage users. 1) login, first name, last name, and an e-mail address. Once you hit Create Fluxiom sends an invitation e-mail to the user with information on how to activate the account and setup the password. 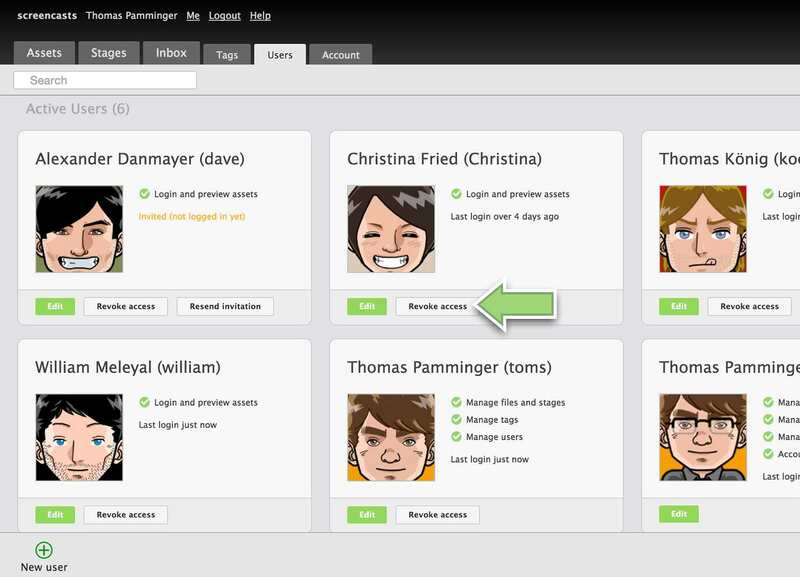 When an account is activated, the user is allowed to log in and preview your entire asset collection. However, the user cannot download assets, administer your asset collection or modify your account in any way. By creating an account but not granting it any rights, you effectively make it “read-only.“ Do note that asset previews are not watermarked, and can still be downloaded by read-only users. However, users are barred from accessing source files or high-resolution images, which severely limits the damage they could do. 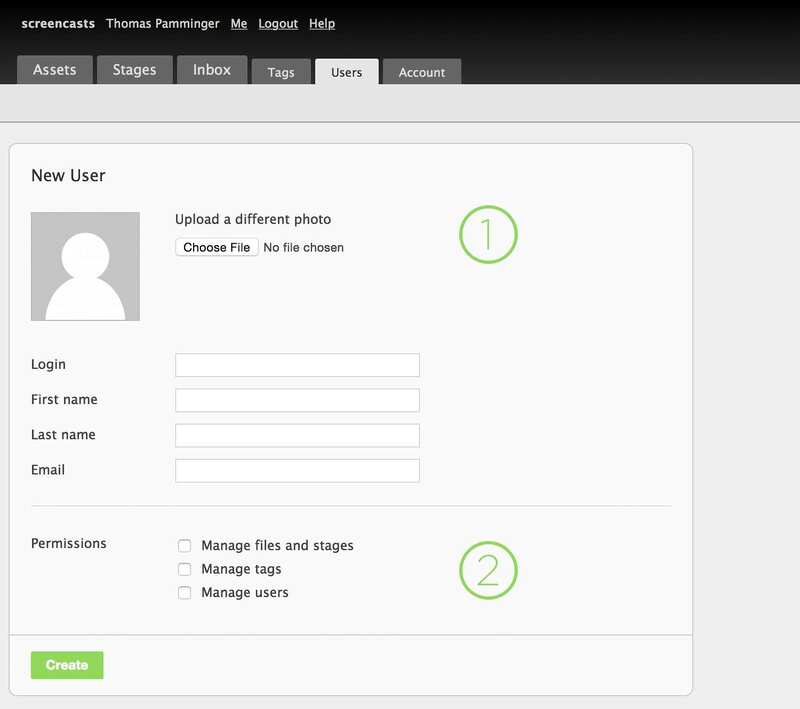 Manage assets and stages is the default access level in Fluxiom. It allows users to view all assets, download and edit them, as well as delete existing assets and add new ones. 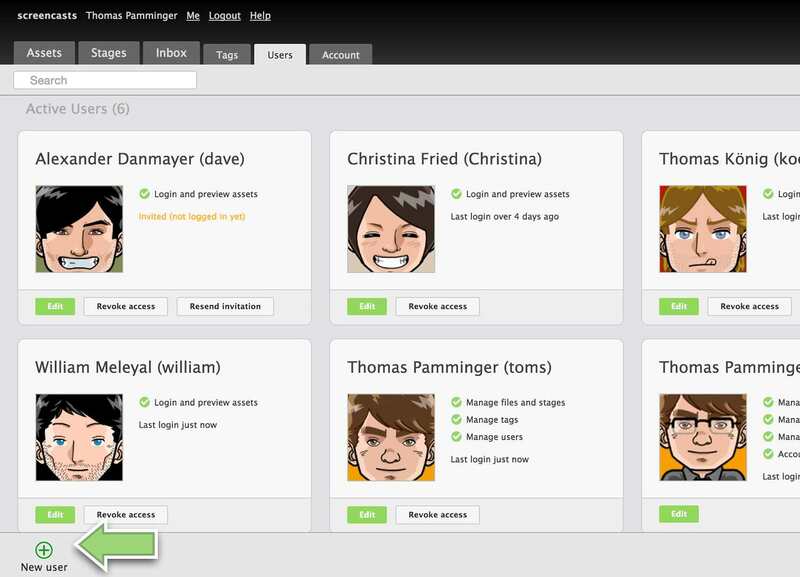 Users can also share assets from Fluxiom. Generally speaking, this level of access allows users to “work with your files” in any way they please, but bars them from altering your account. Manage users turns the user into an user administrator. This enables the user to add new users, disable existing accounts and grant or remove access privileges across the board. This high level of access is to be used sparingly, and granted only to users you trust implictly. It is not required for everyday use and, in many cases, only the account owner will ever require such powers. Fluxiom’s privileges model is flexible. For example, you can allow someone to administer accounts, but prevent that same person from administering assets and tags. This could be useful if HR or your sysops want to manage Fluxiom users as part of a company-wide account management scheme, but you do not want them interfering with the actual content of the account. Since Fluxiom collects historical data, user accounts cannot be deleted per se. However, it is possible to disable accounts, which effectively bars users from logging in. A de-activated user will appear under the “Deactivated Users” list right underneath the active users list. You can always re-activate a de-activated user.